As obvious as it sounds, there’s no way you can travel without a wallet. The essential accessory holds your ID, credit cards, cash, and, in some cases, even your passport and phone. Wallets come in many shapes and sizes, so the best fit for you on a camping trip versus a first class flight to Milan will look completely different. Some wallets only have space for a few essentials, while others are more spacious and versatile. We put together our top wallets for travel, so you’ll find the best travel wallet for your needs. Thanks to high-quality Italian leather, Everlane proves that a traveler’s wallet doesn’t have to be all function and no fashion. This wallet has enough space for eight cards, a passport, bills, cell phone, and loose change. 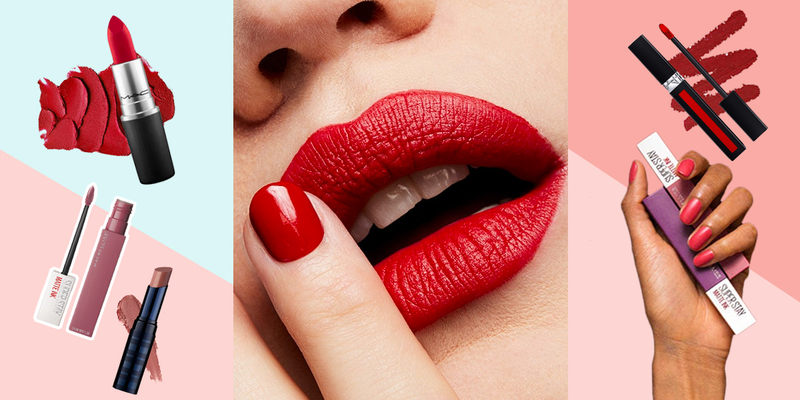 It’s available in four colors, from a bright red that’s easy to spot to a subtle off-white that will complement any outfit. Reviewers love that it can fit a passport and still be used as a fashionable clutch. The fact that it’s ready for both kinds of runway make it well worth $120. The major benefit of a big wallet is that it can keep all of your essentials in one place. But sometimes you might prefer to travel light. When all you actually need is space to store spending cash, an ID, and a credit card, Bosca’s Front Pocket Wallet keeps things simple. It combines the space-saving power of a money clip with the thin profile of a card pouch. The high-shine leather looks sharp in both brown and black, especially with the stitched detailing at the edges. Tuck this wallet in your front pocket for your next flight and you’ll be good to go without the extra bulk. Constant innovation in technology is a great thing, but it has also made electronic pickpocketing easier than ever. 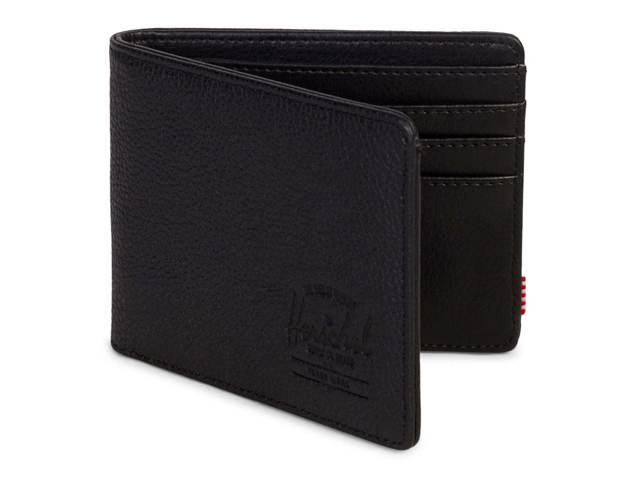 That’s why you need a wallet like this one from Herschel Supply Co. to keep your personal info safe and sound. The wallet has an RFID shielder to block thieves from electronically scanning your credit card numbers. It’s available in a cool speckled black that looks more expensive than its $50 price tag lets on. There’s a dedicated interior window for your ID, which makes airport check-ins easy as can be, along with three card slots and a large billfold to hold your cash. At first glance, $60 seems a bit costly for a polyester wallet, but Fjallraven’s products develop cult followings for a reason. 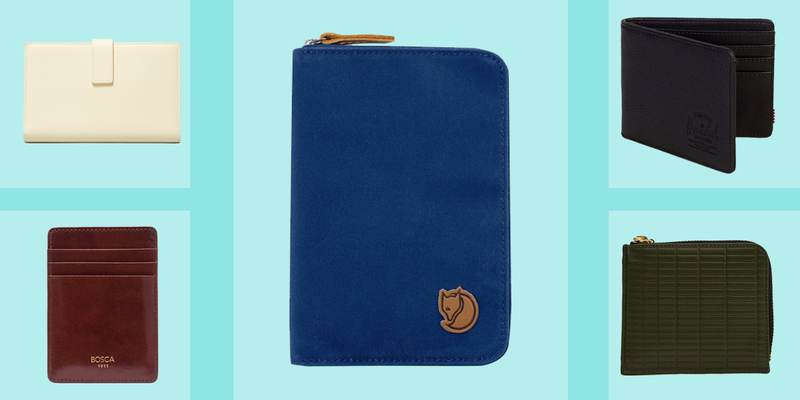 The slim profile is about the size of a small journal and will easily fit in a large coat pocket or purse. Beyond having dedicated space for a passport, this wallet has a zipped coin compartment and four open pockets for cards or cash. It’s light, durable, and available in a bright blue color that will make it easy to find in your bag. Sometimes less is more. At least that’s the case with Moleskin’s Lineage Leather Card Wallet. 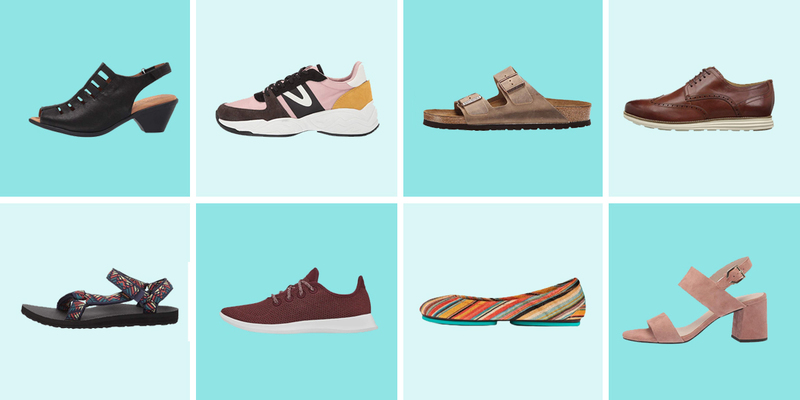 If you thought the brand was only known for their journals, think again. The soft-textured leather is crafted into a minimalist silhouette designed to fit just about anywhere, from your back pants pocket to a jacket pouch. The best part is that you don’t have to compromise any space since it has slots for six cards and a middle opening to hold extras like tickets. If you’re the type that likes to stand out from the crowd, check out this fashion forward wallet from Japanese fashion house Comme Des Garçons. The Brick Line wallet has a gorgeous textured design crafted from cowhide leather. 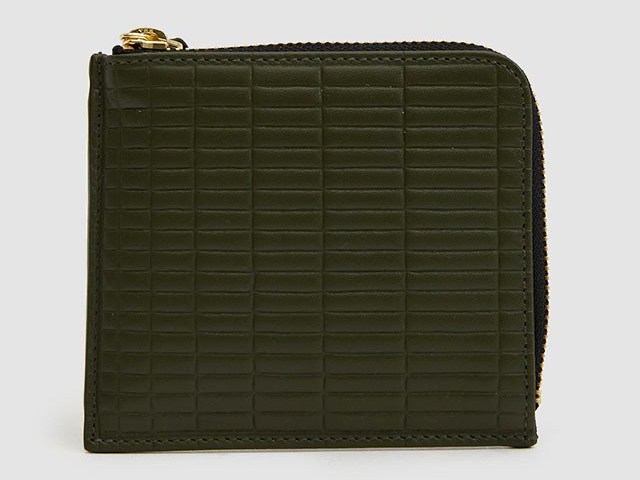 On the surface, it looks like a glorified coin purse, but the interior has a card pouch which gives you plenty of room for your ID, credit cards, and cash. Expect to get compliments when you pull out this wallet on your next trip. $168 at Need Supply Co. Although it may not be appropriate for Michelin-star dining, this wrist pouch collaboration between L.L. Bean and Maine based Flowfold makes for a great companion on your next outdoor adventure. It’s engineered with a mix of fabrics that keep it both lightweight and strong, so you won’t have to worry about it getting torn by keys (or marshmallow roasters) in the bottom of your overstuffed bag. At $40, the waterproof wrist pouch is a steal that won’t get ruined if it falls out of your kayak. If you’re shopping for an all-in-one travel wallet that's big on practicality, it’s hard to beat the $15 price tag of this neck wallet from Alpine Rivers. A big selling point is its versatility and hide-ability, as you can quickly attach it to your belt or conceal it under your shirt. The large rear entry pocket provides enough space to stow your passport and the three-zippered compartment can be used for anything from cash to a cell phone. Plus, it uses RFID blocking sleeves to ensure that you’re protected from electronic identity theft. It comes with a one-year warranty to boot. 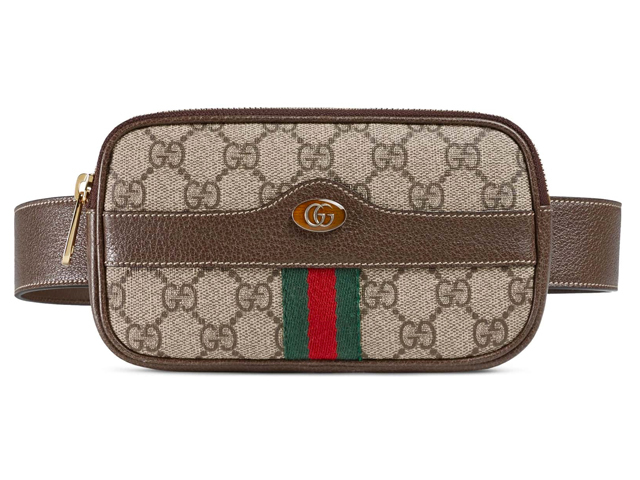 Gucci's belt bag artfully combines fashion with function, and adds a whole lot of Italian luxury look to your travels. The wallet can be worn around the waist (ideal if you want to go hands-free on your way to first class) or carried as a small clutch. Two interior card slots help keep items organized in the roomy bag. Sure, the price tag is high but this is an heirloom investment that will be passed down to the next generation of stylish travelers.